This budget model delivers 720p recording and video chat for under $50. If your budget is unforgiving, Microsoft’s LifeCam HD-3000 ($40) may give you the most bang for the least buck. At less than half the price of the LifeCam Studio, this Skype-certified webcam still delivers HD video. It’s not business-call quality, but it should get the job done in more casual settings. The black-plastic HD-3000 features a glass lens sitting in a 1/7-inch oval casing. Like the higher-end LifeCam Studio, it hooks over your monitor with a rubber flex mount attached to the back. The camera can be rotated left and right a bit, just enough to adjust your position in the frame. There’s no tripod mount, but if you want to place the camera somewhere other than the top of your computer display, you can fold the flex mount into a serviceable stand that will sit on any flat surface. The camera’s microphone sits at the top right of the lens. The LifeCam HD-3000 delivers good video quality for the price. The LifeCam HD-3000 records video in 720p at up to 30fps. Video chat also maxes out at 720p. The camera features the same TrueColor Technology as the LifeCam Studio, which optimizes video brightness and color for different lighting conditions. The biggest challenge I faced with the HD-3000 was its setup. I found it tough to get a snug attachment to my laptop display, so positioning it took a lot of trial and error. Sometimes when I got it where I wanted it, the tension of the attached USB cable would pull it out of whack. The process was further complicated by the fact that the camera doesn’t have any vertical tilt. So, at one point when I got the mount in a stable position, the camera was pointed at my forehead. The only recourse was to pull my laptop screen toward me to get the camera level. Once in place, though, the HD-3000 worked pretty well. The image was clear and well-balanced, and video playback was smooth. Obviously, you don’t get the same detail as with a 1080p camera, though that also means things like facial lines and other skin imperfections are less apparent. I did notice that every time I moved my head, the image would blur. Even slight movement caused noticeable fuzzing of the image. This didn’t occur with the higher-end cameras I tested or with my laptop’s built-in camera, and it quickly got distracting. Audio was loud and clear, but so was ambient noise—the microphone frequently picked up room fans and other environmental sounds. Overall, though, the HD-3000 probably offers the best video at this price, and it’s a fine choice if you want to upgrade an old VGA webcam, capture video to upload to YouTube or Facebook, or just want to save money. Just keep your expectations in check and it won’t disappoint. 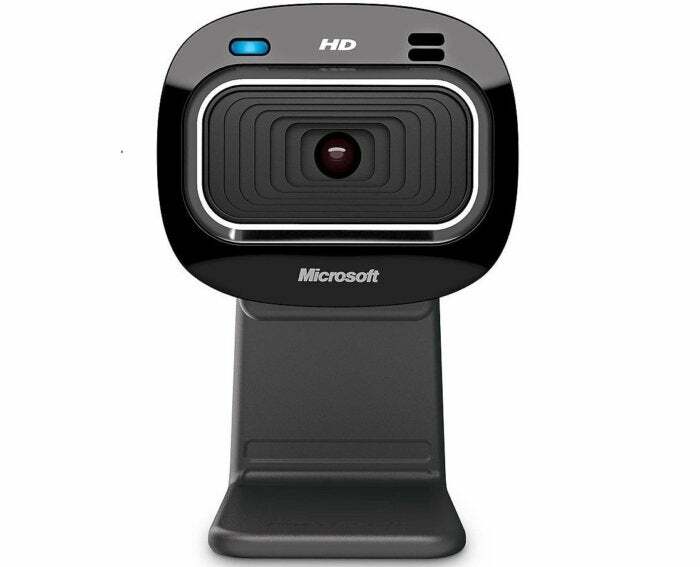 The Microsoft LifeCam LifeCam HD-3000 is an affordable upgrade from an old VGA cam or low-quality laptop webcam. However, if you want the best features possible in a webcam, keep shopping.